There is a point in time when your child turns about 2 and a half and something clicks. For some kids, it's at the age of 3. This is a time when you notice that your child is ready for more family fun and greater attention span - it's time for some board games! For the last two months, our evening family time has been all about board games. The kids are having so much fun, and so are we. And, no one is whining and asking to put on the cartoons!!! I say it's a win-win situation, especially when you add educational value and imagination to it. How can you go wrong?! 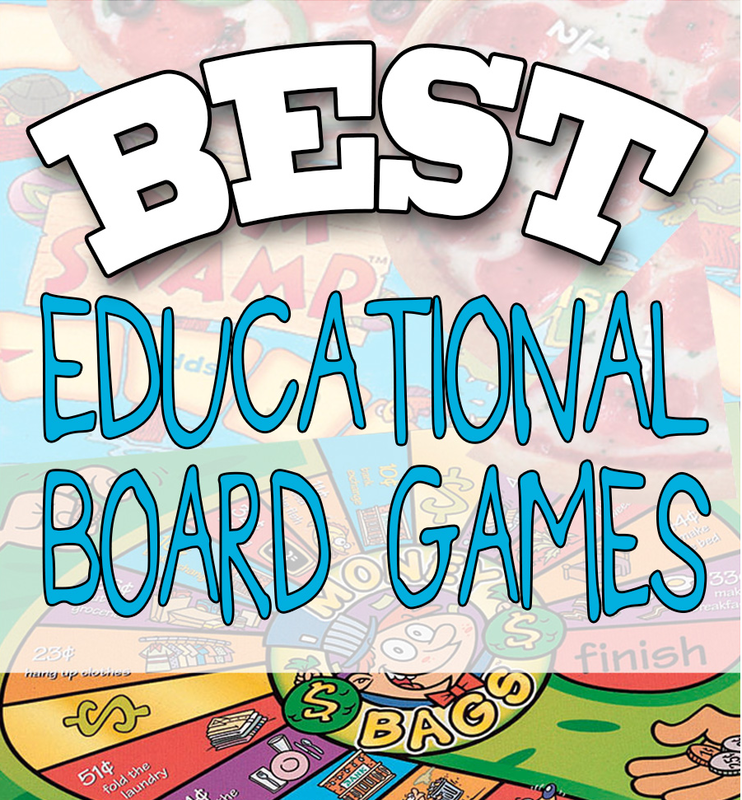 My fellow Busy Mamas and Daddys, let me introduce you to my wonderful world of board games!!! My boys, ages 2.5 and 3.5 must play this game every evening before bed time! Your child will love exploring the wonderful world of Toopy and Binoo. 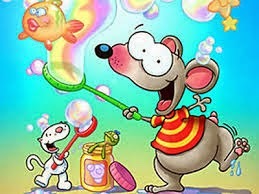 I'm sure s/he is already in love with the cartoon and can't get enough of Toopy and Binoo:). This board game is so colourful and beautifully illustrated. 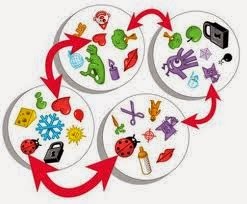 It introduces and teaches little ones about food, sports, activities, means of transportation and music. 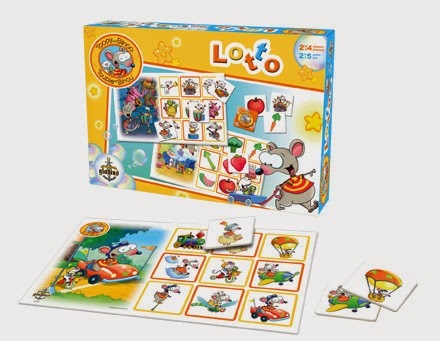 While playing this game, your child will observe, learn and practice many skills such as language, coordination and much more. I highly recommend it!!! Game rules: The aim is to complete a game board using cards picked out randomly. My best friend recommended this fun, quick and easy game for both, kids and adults alike. And, it's definitely a winner in our home:). The monkeys have curved tails which makes the game much more fun because the tails hang on to the sticks and to other monkeys. My 2-year old loves throwing the die to see which coloured stick he will need to pull out. When you pull out the multi-coloured sticks in Tumblin' Monkeys, sometimes a few monkeys fall out, but sometimes they just hang onto the next lower level of sticks, which makes the fun last longer:). The game is rated for ages 5 and up, but as I said, my 2-year old and 3-year old can't get enough of this game. Adults will also have fun playing this game. The game is easy and fun to assemble, even for a child, and easy to take apart and store in the box when you are finished playing. 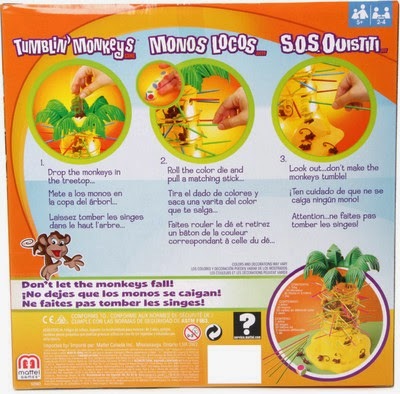 Official game rules: Who can keep all the monkeys on the tree? Let's go on a spotting safari journey! Be on the lookout for creatures of the land, sky, and sea. 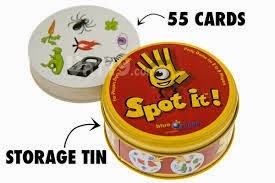 This popular junior edition of the popular card game Spot it! 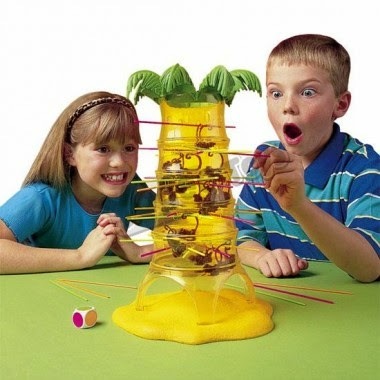 (ages 7+) has a fun and entertaining them that kids will love. And, that's not all! 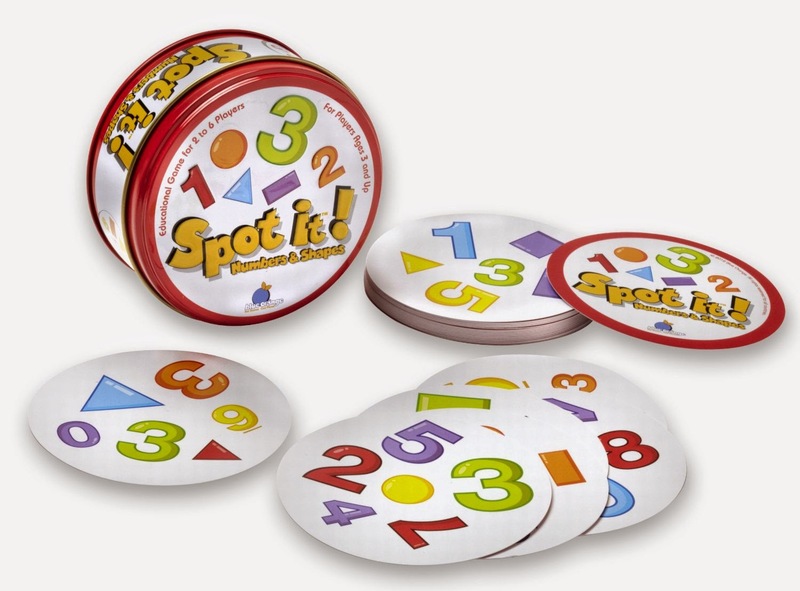 This travel-friendly (game cards are stored in a durable tin canister and it's so small to easily fit into a backpack) matching game can be played five different ways, so you won't be bored! 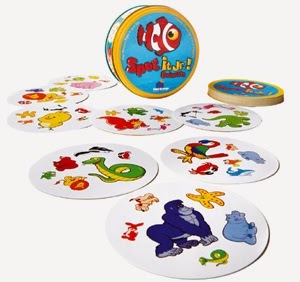 This game is played with 31 cards that are each decorated with six colourful animals. The animals may vary in size and position, but there is always one, and only one, animal match between any two cards. 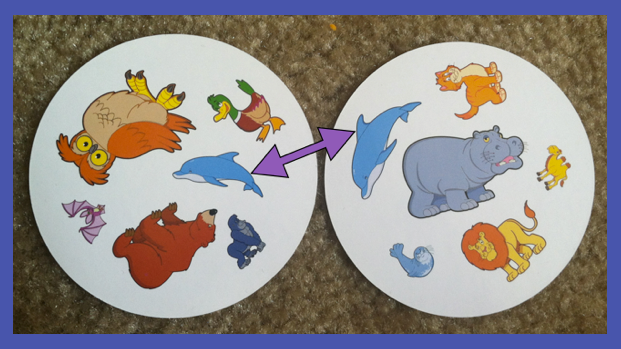 The aim of the games is always the same: be the fist to spot the matching animal between any two cards. The first person to call it wins the hand, and then two new cards are played. You can play this game in different ways: the player with the most cards or the player with no cards wins. Your child will learn to name over 30 animals, expanding their vocabulary and inspiring their curiosity about the animal kingdom:). I love educational and entertaining games. 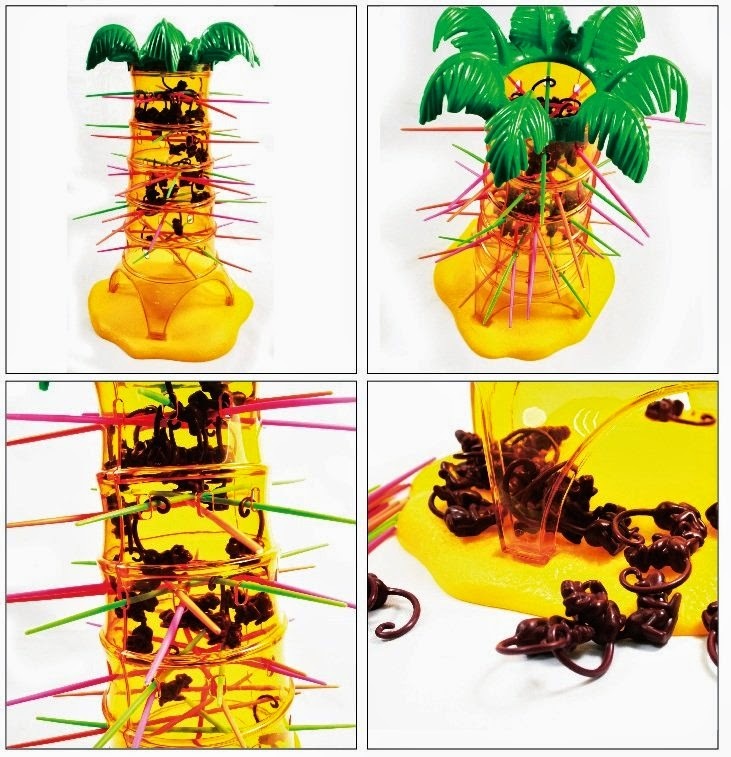 Recommended age: 4+ and adults will find it challenging as well! I also bought the original Spot It! edition for my husband and I to play:)! 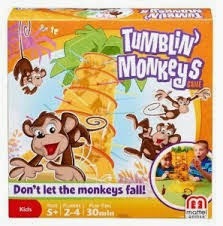 It's all about finding board games that will be fun for the entire family, and especially the kids. This is a simple and easy board game that allows children to start using strategy, colour recognition, and stportsmanship. It's great for ages 3 and 4. 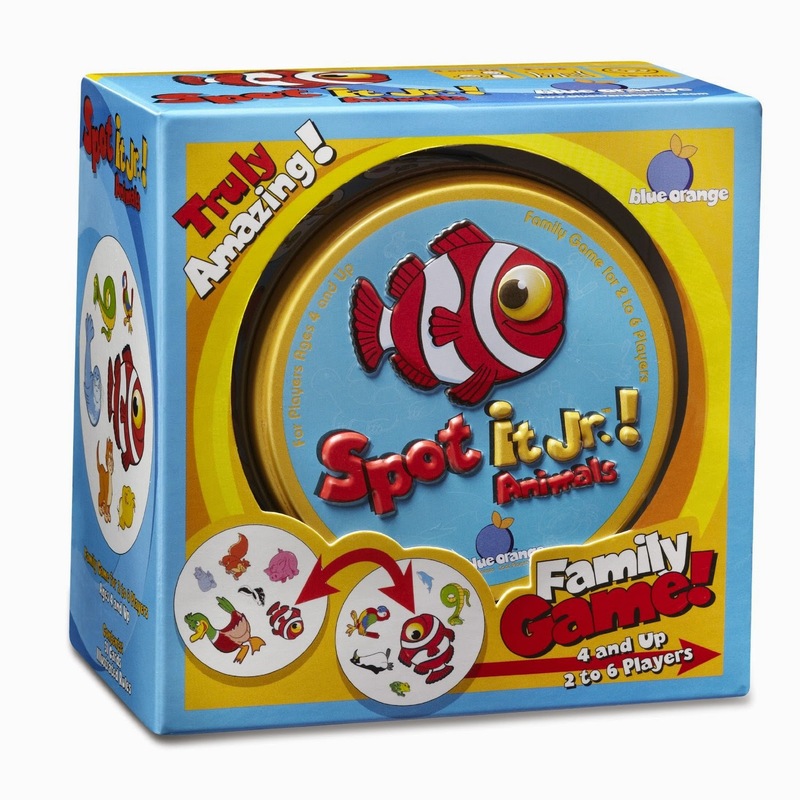 If your child has a low attention span, this game will perfect! 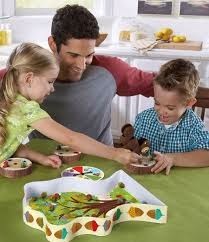 The object of the game is to fill your log with all five coloured acorns to feed the hungry squirrels in the winter. 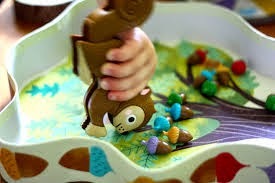 Kids get to use adorable squirrel plastic tweezers to grab the acorns, which they will really enjoy doing:). The Sneaky, Snacky Squirrel game is perfect for preschoolers to develop matching skills, fine motor skills, social skills and strategic thinking skills. So, really you can't go wrong with this game. In this game kids are not only learning their colours, but also decision-making as they pick which acorn they need and learn good sportsmanship when their turn is skipped. It's a wonderful game for both boys and girls. My boys love picking the acorns with the squirrel tweezers the most;)! 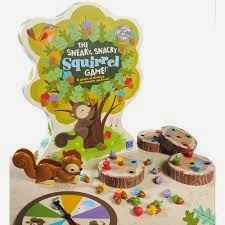 This game is available from Indigo http://www.chapters.indigo.ca/en-ca/kids/toys/sneaky-snacky-squirrel-game/086002034052-item.html?ikwid=sneaky+snacky+squirrel&ikwsec=Home&ikwidx=0 or Amazon http://www.amazon.ca/Educational-Insights-Sneaky-Snacky-Squirrel/dp/B00486ZVC4/ref=sr_1_1?ie=UTF8&qid=1424463665&sr=8-1&keywords=sneaky+snacky+squirrel for about $20. I hope you will try some of these entertaining games with your family and enjoy some quality time with your loved ones!